The HSB-Z is a lift lowering manifold with load-dependent speed control. It is for simple, load-dependent lift-lowering controls. E.g. scissor lifts, small forklifts, and walky stackers. 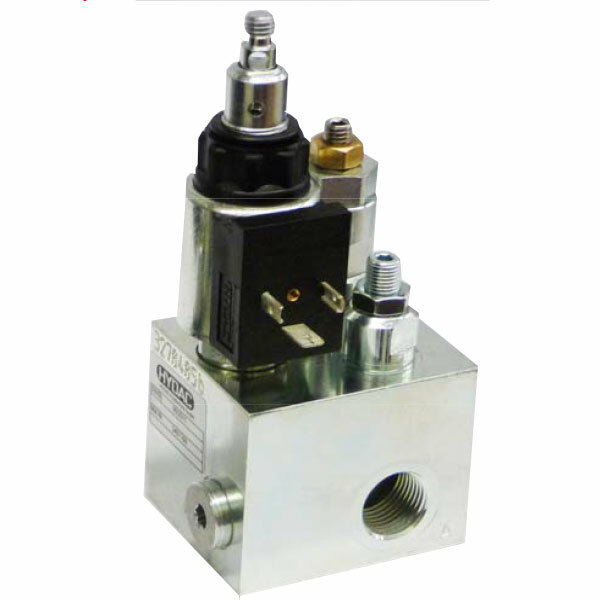 The 2/2 solenoid poppet valve includes an emergency lowering cable-pull type manual override (self-resetting). It is optional with plastic knob Part-No. 6019472 for manual operation.